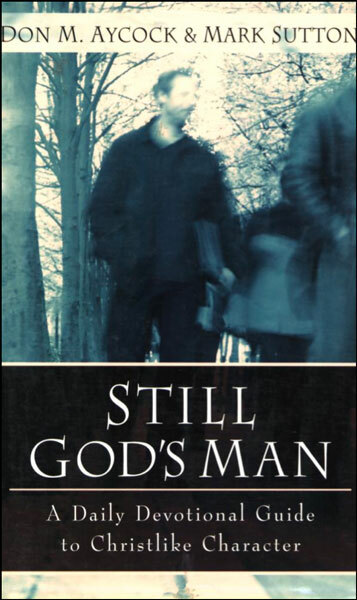 The powerful daily readings in the ebook Still God's Man by Don Aycock and Mark Sutton are designed to provide men with a guide for their daily walk with God. Sequentially following the books of the Bible from Genesis to Revelation, this ebook reminds us "that those who treaded the path in front of us have well marked it for those who follow" and that we are never alone in our struggles - other men, including, as they humbly admit, the authors themselves, have struggled in their Christian walk with the cares and temptations of life. The authors of this ebook seek to shake men from complacency or despair to "grow and yearn for more of God" and "fight the battles that impede our growth" to live a victorious life. Don Aycock, editor of God's Man (also available as an ebook), pastors Liberty Baptist Church in Palatka, Florida. Mark Sutton pastors Bookwood Baptist Church in Shreveport, Louisiana.